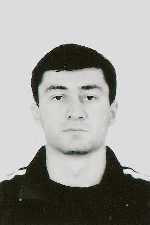 Evloev Zelimkhan Yahyayevich, 1973. kidnapped September 6,2008 . In September,6,2008,at about midnight, Zelimkhan Evloev left his relatives(Vavilova street,Moscow) in an auto VAZ-2111,licence number plates 207,for his friends (Melnikova street,Moscow). He had not the place.The searchings of Zelimkhan Evloev and his auto resulted in nothing.